First, let me introduce myself. My name is John Dolce and I am the owner of Town Line Auto. 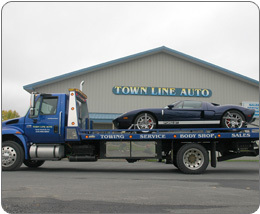 I would like to thank you for visiting our website and for taking the time to find out more about Town Line Auto. Town Line Auto is more than just a business; it is something that I love, which is an attitude that can be found in the rest of our family here at Town Line Auto. I have been involved in the automotive industry my entire life. While working toward and obtaining and Automotive Technician Degree, I worked as a technician in New York City. Shortly afterwards, in 1983, I established Classic Automotive Crafts, Inc, an auto body shop in Queens, NY, which I ran for over 15 years. I sold my business, moved upstate, and became the head of the auto body department for one of the largest new car dealerships in the Capital District. With my experiences as a shop owner, and my time at the new car dealership, I knew I could offer our town superior services, auto body repairs and sales. I reestablished Classic Automotive Crafts, Inc, now doing business as Town Line Auto in 2003. We have since then, experienced a great deal of growth. Town Line Auto has implemented the highest quality equipment using the latest technology on the market. We have highly trained and experienced technicians and managers who love with they do and take pride in doing so. 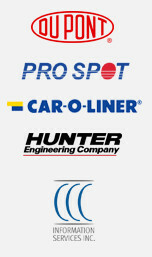 We enjoy helping customers, as well as potential customers with any of their automotive needs. We make sure you understand what services are needed to repair your vehicle and discuss options with you before any repair is done to your vehicle. It is my mission; Town Line Auto’s mission, to help those in our community with their automotive needs. Town Line Auto belongs to this community; our employees belong to this community; our family and friends belong to this community. We are not the typical dealership and automotive business that is only out to benefit ourselves. Town Line Auto is a community based business whose goal is to benefit the members of our community. We hope you put your trust in our business and we promise to help you to the best of our abilities with your automotive needs. Please feel free to stop by to take a tour of our Mechanical Shop and Body & Paint Shop to check out our state of the art equipment. 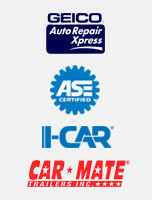 We will be happy to take the time to explain how each piece of equipment works and how it is used to fix your vehicle!